Which online campaigns bring the most traffic and conversions. So if you are having a website then You should be using Google Analytics. You might know or eager to know, why? So keep going ahead with this blog Post to deep dive to know further about it. Because Google Analytics is most valuable tool available to website owners and completely free. By use of a little bit of code to your webpages opens you up to a wealth of data that allows you to find how good your website is works. You an even use it’s finding to make strategies to increase your outcomes and remove faults. Setting up Google Analytics on your site is simple. First step is Google Analytics account if you don’t already have one (go here and click Sign In at the upper right). After that, log in and go step by step for your website based on the process provided. In last step, Google Analytics will provide you with a tracking ID that you’ll need to add to the code of the webpages on your website. Having a Word Press site, there are a few easy ways to add the tracking ID to all your pages at once. That’s it! After all set up, let’s move on at some of the important metrics available to you. Google Analytics will start collecting data for you on its own to view in an intuitive interface. There’s a lot of different information packed into the data they provide, but to start, these are the most important analytics to pay attention to. The things that matter most you’ll be abler so see in Google Analytics is your basic traffic information in the dashboard in Reporting format. 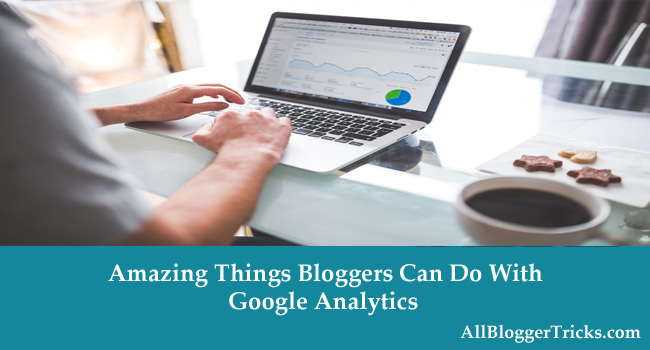 What Google Analytics can help you to know about? These metrics can help a basic level how well your website is performing. No matter what type of website you have, you probably want to receive a lot of traffic and you want it to be from visitors that like your website enough to hang around for a while and even come back later for more. These metrics tell you to what degree that’s happening. What else you can keep on track of the demographics of the user his age, browsing interests and so on. The Geographies can help on number of ways; to know location based interest and so on. These all and many other things included can help to increase the interest of the readers you have. Those are the basics every website owner should know to get started, but once you’re familiar with Google Analytics you can go for deeper insights and find even more valued and hidden gems. The more you use the data the tool makes available, the better you’ll be at crafting your website to delight your visitors and meet your objectives. That's It Thanks For Following our Tutorial '' How To Add Advanced Popup "Facebook Page Plugin Pro">ol to Blogger Blogs ?'' Along With us If you found any difficulty Please Comment and Share Your Valuable Opinion. And Stay tuned for More Tutorials Like This and Share this with your friends. Google Analytics can reveal to you a considerable measure about the general population who visit your site, however it won't disclose to you their identity. You can discover how old they are, the place they live, and considerably more, however not their name, IP address, organization, or some other actually identifiable data.